"We love that each bedroom is ocean-facing with a patio door to open to hear the ocean at night, the gigantic home theater, the spacious rooms with high ceilings! 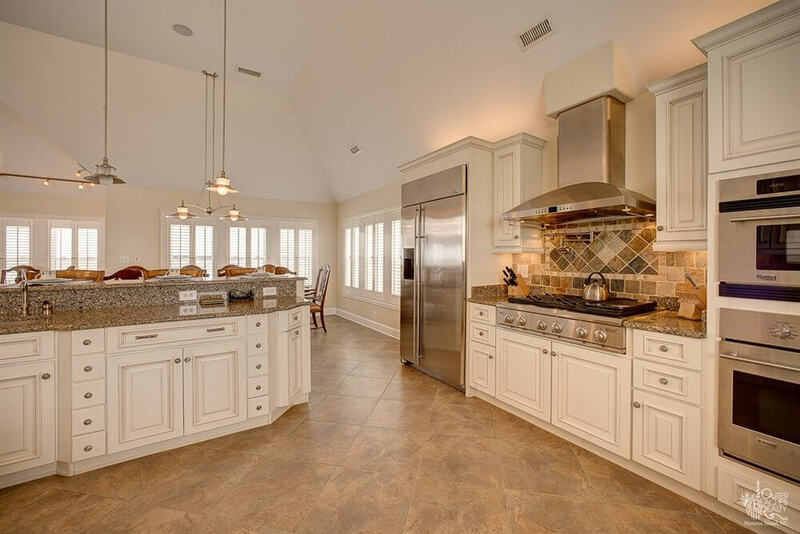 We love the large kitchen, with granite countertops and we love the XM surround sound so we can have music of our choice everywhere!" 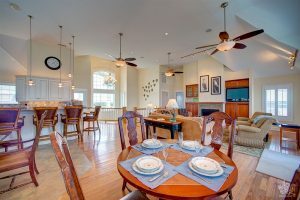 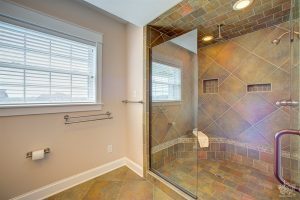 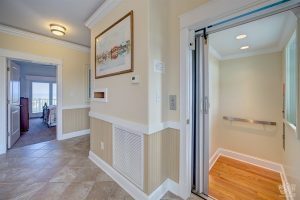 At Living in 3/4 Time, you will find everything you need to have an exceptional vacation, from the pool and hot tub to a gourmet kitchen, theater room and much more! 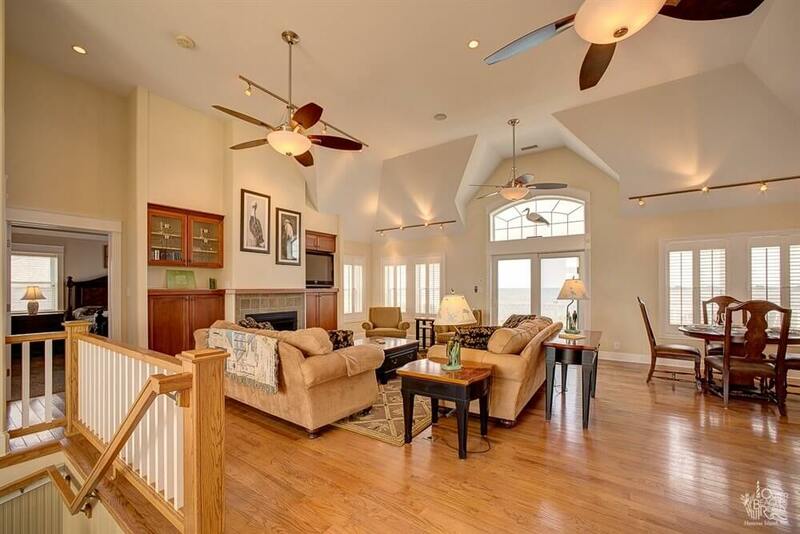 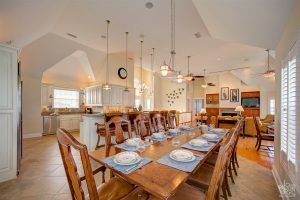 Elegant decor is found throughout this beautiful three-level home complete with shining, hardwood floors, sumptuous furnishings and ceiling fans. 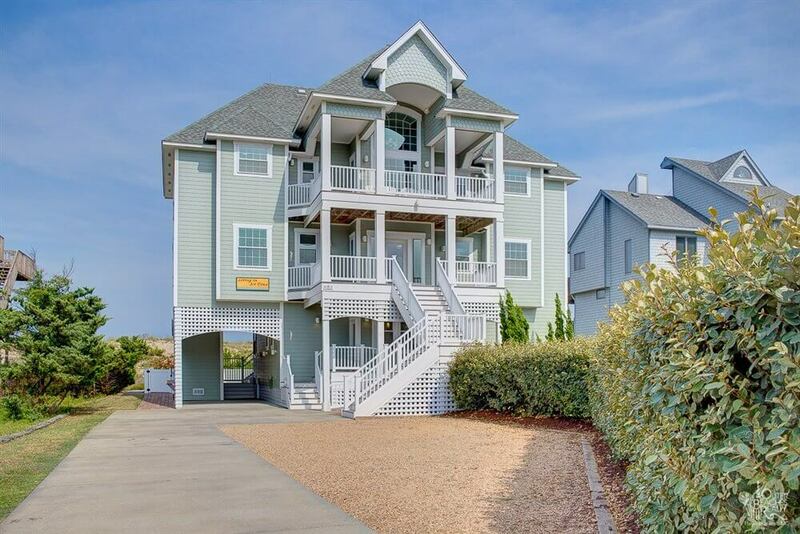 This custom built investment property in Avon has 6 bedrooms facing the ocean, a large, open gourmet kitchen with wine cooler and 12 foot breakfast bar. While dinner is being prepared, enjoy relaxing in the spacious great room with cathedral ceiling and gas fireplace. The dining area offers seating for 14, ensuring everyone gets to partake in the feast! 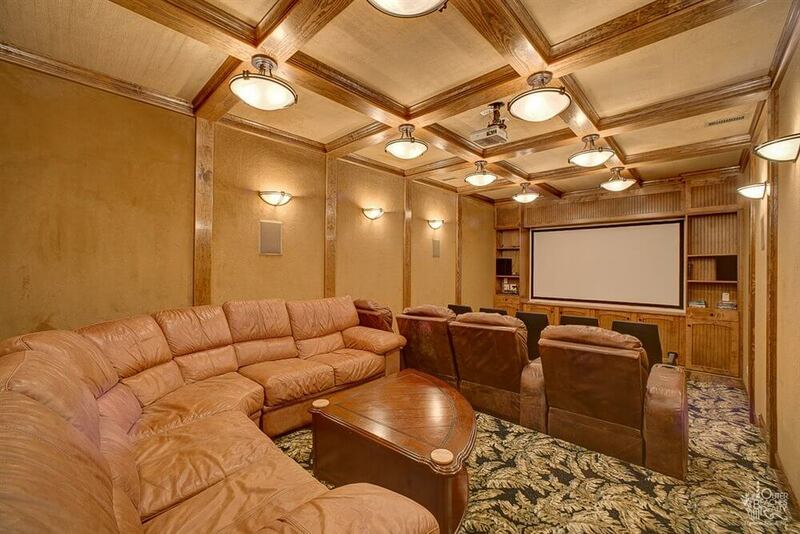 Entertainment is abundant with an in-home theater room with 9 foot screen, whole house sound system, and entry level bar area with TV, microwave and dishwasher. Plenty of TVs, VCRs, DVD players, stereo/CD players and XM Radio are on hand to provide hours of indoor entertainment. 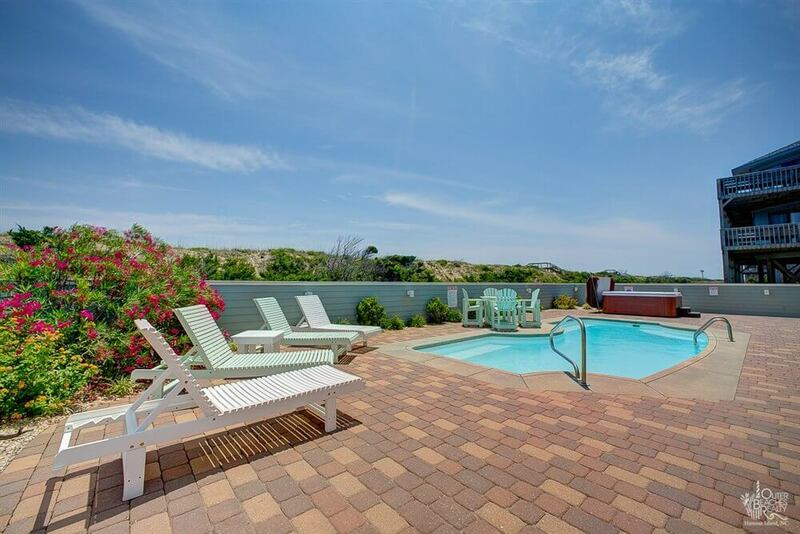 For those that prefer the outdoors, cannonball into your private pool, or take a dip in the hot tub for some laid-back relaxation. 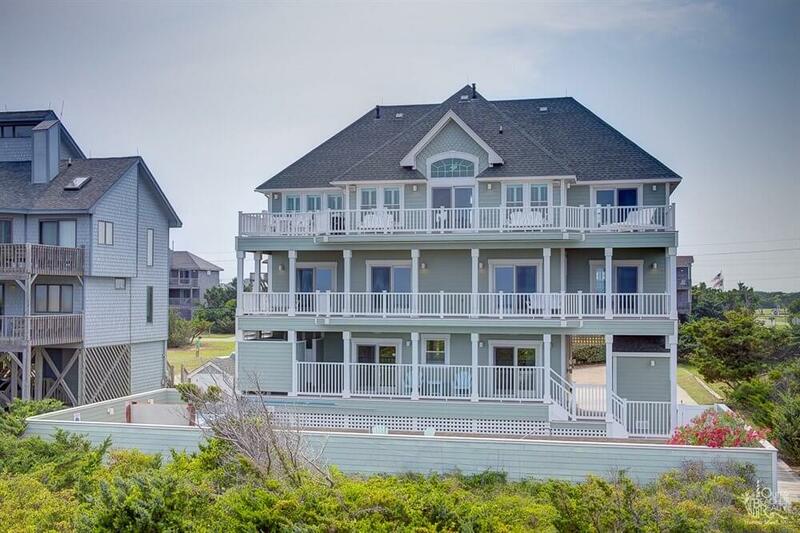 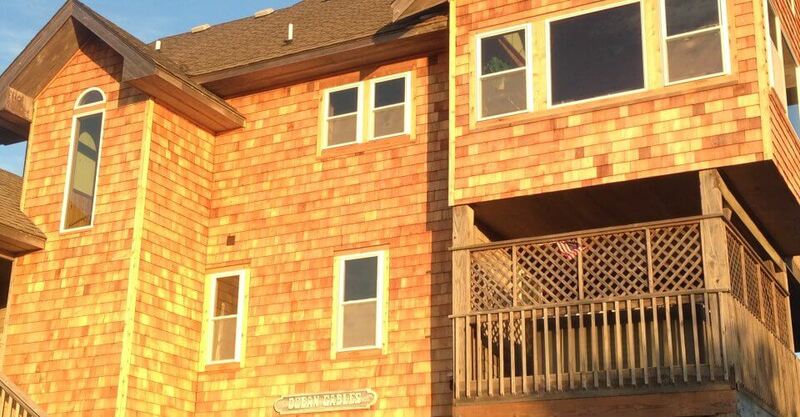 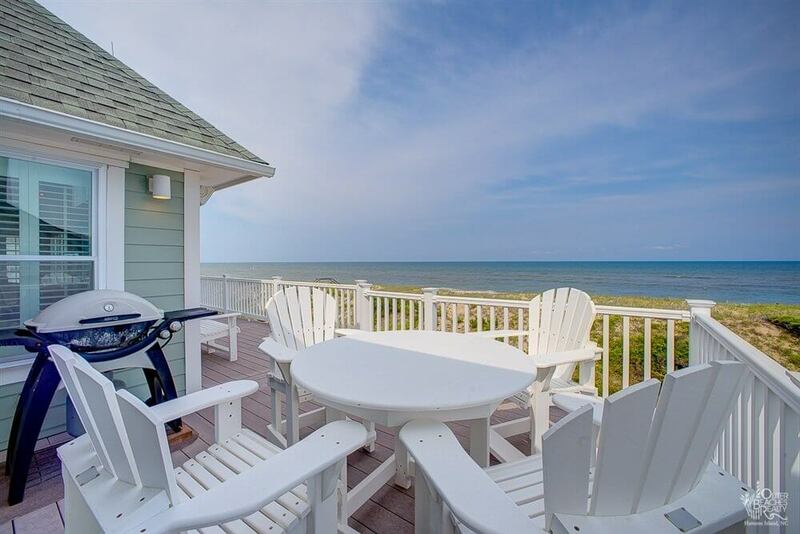 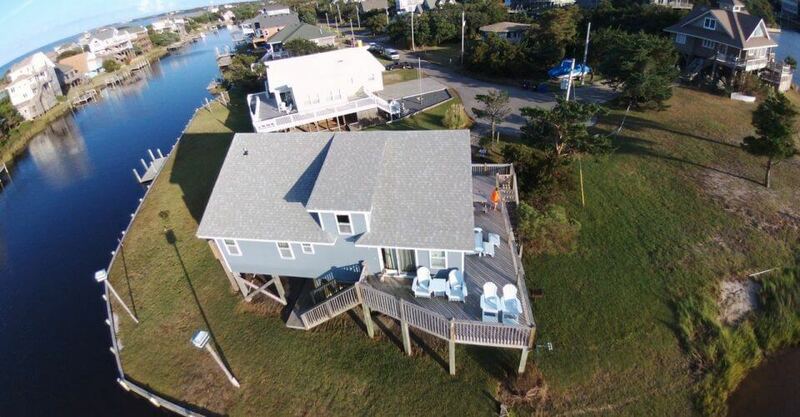 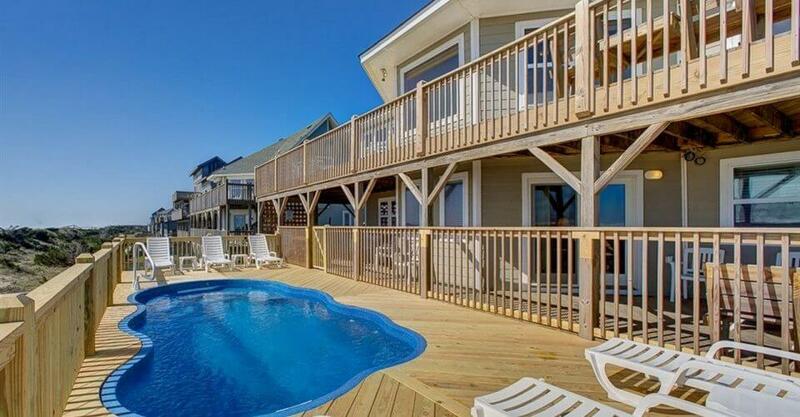 Bask in the sun and scan the abundant ocean views from the decks, or take the beach boardwalk over the dune. 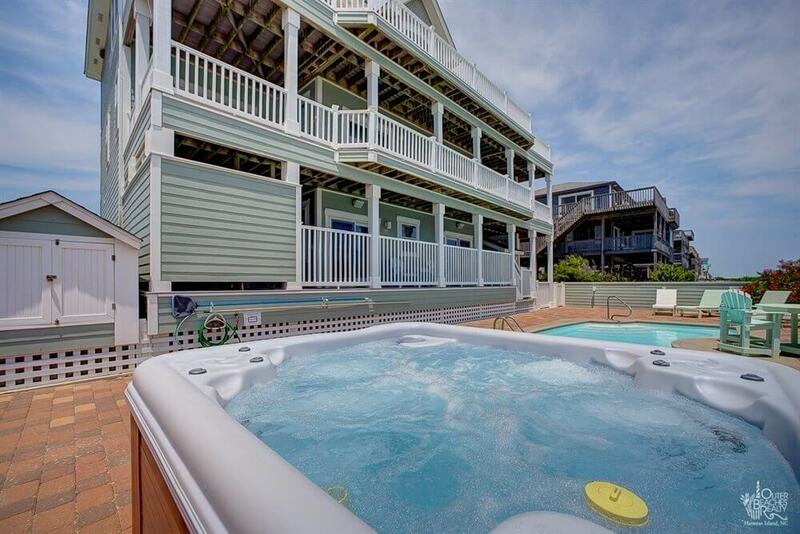 Pool is also heated in case it gets chilly.